Dr Natasha Campling started her career as a cancer and palliative nurse at the Royal Marsden Hospital, London before becoming an academic researcher in 2000. She has worked on an extensive range of studies, leading to a broad range of publications. 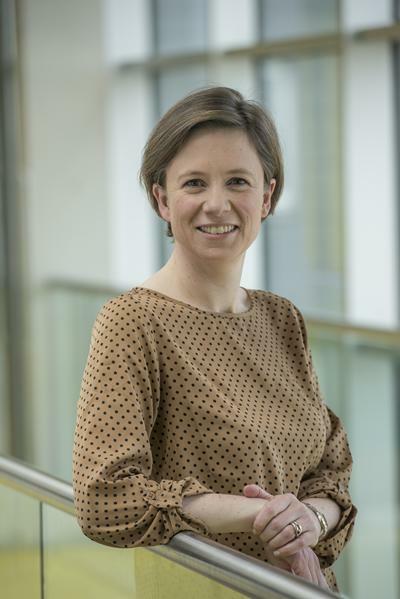 Most recently she has focused entirely on palliative and end-of-life research, working on SMART (Self-Management of Analgesia and Related Treatments at the end of life) funded by the Health Technology Assessment programme of the National Institute of Health Research (NIHR). The study focused on the development and feasibility testing of an educational intervention to improve the supported self-management of opioids and the related side-effects of nausea, constipation and drowsiness. She led the qualitative components of the study, including design, data collection and analysis. Following SMART, Natasha combined work in two end-of-life specific areas. Firstly, Supporting Family Caregivers at End of Life, funded by the National Institute of Health Research’s School for Social Care Research. The study implemented evidence about how to support family caregivers in the transition between hospital and home for end of life care. Natasha led the implementation via palliative and end-of-life care teams within 12 NHS hospitals across England. Secondly, she collaborated on a programme of work focused on treatment decisions in the face of patient deterioration in hospital: development and implementation of treatment escalation plans, funded by NIHR CLAHRC (Collaboration for Leadership in Applied Health Research and Care) Wessex. Natasha led a complex retrospective case note review and in-depth analysis examining escalation related decision-making in acute deterioration at the end-of-life. Natasha currently works on ActMed (Accessing Medicines at end-of-life), a multi-stakeholder, mixed method evaluation of service provision funded by the Health Services and Delivery Research programme of the NIHR, for which she is a co-investigator. Despite there being a good understanding of patient and carer concerns regarding opioid analgesia and related side effects, much less is known about the best ways of addressing these concerns. We aim to develop a support tool to improve the management of medications for pain relief, nausea constipation and drowsiness in patients with significant pain approaching the end of life within a theoretically informed behaviour change framework. The expected benefits of the Self-management Support Tool for patients will be improvements in symptom relief and increased confidence in managing medicines and related side effects by themselves, or jointly with their informal carer. This study is an implementation study of best evidence, from previously conducted studies including reviews of randomised controlled trials and meta-analyses, about supporting family caregivers of individuals at the end of life. Wessex CLAHRC is partnership of providers, commissioners, patients, public, clinicians and researchers. It aims to put into practice what we learn from undertaking research. The focus is on improving the health of the people of Wessex and the quality and cost-effectiveness of health care. Through increasing engagement of stakeholders, Wessex CLAHRC aims to bring about a stepped change in integration of pathways of care for people with long-term conditions and reducing hospital admissions through more appropriate use of health care. The complexity theme focuses on improving the experience of patients, families and professionals by looking at ways of minimising complexity and maximising improvement in experience of for those affected by long term, life-limiting conditions. Grocott, P., & Campling, N. (2009). A methodology for evaluating wound care technologies in the context of treatment and care. Wounds UK, 9(2), 27-38. Grocott, P., Browne, N., & Cowley, S. (2005). Quality of life: assessing the impact and benefits of care to patients with fungating wounds. Wounds: A Compendium of Clinical Research and Practice, 17(1), 8-15. Browne, N., Grocott, P., Cowley, S., Cameron, J., Dealey, C., Keogh, A., ... Vowden, P. (2004). The TELER system in wound care research and post market surveillance. The EWMA Journal, 4(1), 26-32. Campling, N., Duke, S., Firth, P., Lund, S., Lunt, N., May, C., & Richardson, A. (2017). From hospital to home: Supporting family caregivers at end of life. Poster session presented at 15th World Congress of the European Association for Palliative Care , Madrid, Spain. Duke, S., Richardson, A., May, C., Lunt, N., Lund, S., Firth, P., & Campling, N. (Accepted/In press). Supporting family caregivers in the transition between hospital and their relative’s preferred place for end of life care. Poster session presented at Round the Clock: Making 24/7 Palliative Care a Reality, Marie Curie and the Palliative Care Section of the Royal Society of Medicine, London, United Kingdom. Campling, N. (2015). Telehealthcare devices and the barriers to uptake. Paper presented at The International Association of Gerontology and Geriatrics - European Region Congress, Ireland. Campling, N. (2014). The challenges to integrating care via telehealthcare device usage across the spectrum of end-user needs. Paper presented at Integrated Care: How Technology Can Help, United Kingdom. Grocott, P., Browne, N., & Cowley, S. (2004). Woundcare research for appropriate products (WRAP): "real world" evaluation. Paper presented at RCN Research Conference, United Kingdom. Campling, N. (2001). A Delphi survey of research priorities in European oncology nursing. Paper presented at ECCO 11 - European Cancer Conference, Portugal.